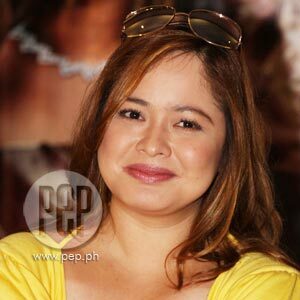 When it rains, it pours for actress-singer Manilyn Reynes as she finds herself juggling television and movie projects. Manilyn also launched her latest record titled Manilyn, Loving You. Actress-singer Manilyn Reynes was honest enough to admit that the lack of projects almost made her transfer to GMA-7's rival network. "I'm sure hindi naman ako mabi-breach [of contract] had it happened because wala naman akong ginagawa during the time dito [Kapuso network]. I was offered something, ganun lang, ganun lang. Nothing serious, wala naman akong problema dito, it's just that I was not doing anything. So, siyempre, ikaw din naman ay nagtatrabaho," Manilyn told PEP (Philippine Entertainment Portal) at the press conference of SRO Cinemaserye Presents: The Eva Castillo Story last July 17 at the GMA Network Center in Quezon City. But just as Manilyn was seriously contemplating a jump over the fence, All My Life—GMA-7's early primetime series starring Aljur Abrenica and Kris Bernal—landed on her lap. "Marunong talaga ang Diyos. He did not made me say yes to it [ABS-CBN's offer] right away at wala akong pinirmahan kaagad. Siguro sabi Niya, 'Hintay muna, sandali lang,'" Manilyn said. PORTRAYING EVA CASTILLO. Manilyn's good fortune did not stop with All My Life. As it turned out, the Kapuso Network picked her to portray the life of former amateur singing contest's promising find, Minerva "Eva" Castillo—the woman once touted as the "biggest threat" to Asia's Songbird Regine Velasquez's then fledgling career. Eva's inspiring life—made even more colorful by the fact that she had to endure a series of personal backbreaking setbacks—encouraged Manilyn to accept the role without hesitation. It also helped that Manilyn is an ardent fan of music and easily relates to the rigors of singing competitions to showcase one's talent. "Singing kasi ang talagang gusto ko nun, e. When I was three, of course, 'yon, nagdyu-join ako ng contest hanggang sa nung nakarating ako dito [mainstream show business], kanta pa din ang naging ticket 'ika nga, tapos 'tsaka na lang pumasok 'yong acting." Manilyn is also busy promoting her upcoming movies: Oh, My Girl! (A Laugh Story) and Love On Line (LOL). She just also recently launched a new album titled Manilyn, Loving You. Talking about the album, Manilyn said, "Actually matagal na siyang pending. Dapat last year pa siya, so itinuloy lang namin. This time, tumugma na 'yong schedules, tumugma na lahat and the songs are there already, so tinuloy na. Kasi after celebrating my 25th year in the business, nag-concert ako sa Aliw Theater nung 2007. After that, we decided to have an album again." Now that she is deluged with projects, Manilyn carefully manages her time as wife to former actor Aljon Jimenez and as a mother. "Actually, sabi ko nga kanina, ngayon naman medyo punuan kasi sabay-sabay naman siya...when it rains, it pours. Pero dapat talaga, medyo nama-manage 'yong time kasi I have a family, I have children, and I have a husband. 'Yon naman ngayon 'yong kailangan matutukan ko din, na even if I'm working and working really hard, dapat hindi naman mawala ang time ko sa family."